– The ability of a company to prosper is in direct correlation with the productivity of its most valuable and expensive assets – its employees. Unfortunately, business interruptions such as fire, flood, natural or man-made disasters or severe weather can wreak havoc on networks and servers and displace employees from their workplace. Many companies, especially smaller ones, have no DR/BC plan in place and as a result, would never be able to recover from such an event. At JDL Solutions, we develop plans with our clients to help them achieve their specific RTO (Recovery Time Objectives) after such a disruption, based on their individual requirements and budget. – Your computers and computer network are likely the most important business tools in your office. You rely on them every day to communicate and learn critical business information, analyze financial and business data, manage staff and inventory, and sell products and services. So what happens when your computer network fails? Productivity is stalled or slowed, communication is hindered and billable time is lost. Whether you have had computer problems or a network meltdown, you know they cost you money, destroy employee morale, frustrate customers and are a source of significant stress and aggravation. – With the phenomenal growth of the Internet and the advances in wireless and mobile eBusiness solutions, network security has become increasingly more challenging. Today’s viruses and other forms of malicious software (malware) can spread rapidly via e-mail and networked systems infecting thousands around the world in a matter of hours. – Today, small to mid-size companies need the help of an IT professional to stay one step ahead of evolving risks. 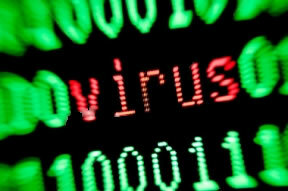 No longer can any company afford to take a “set it and forget it” approach to network security. Vigilance is critical. There are too many threats and too big a price to pay for lax security. With JDL Solutions as your technology management partner you’ll be armed with the most up-to-date network security tools. Whether you need a Virtual Private Network (VPN), updated anti-virus software, content filtering, intrusion detection or a manual anti-virus patch, Integrated IT Solutions will develop and implement a plan to protect the security and integrity of your business data. In the event that malware does penetrate your network, we will drop everything to isolate infected segments and systems, and repair the damage.